I’ve always been a crafter. I also always love learning new crafts that I can share with others or with my children someday. 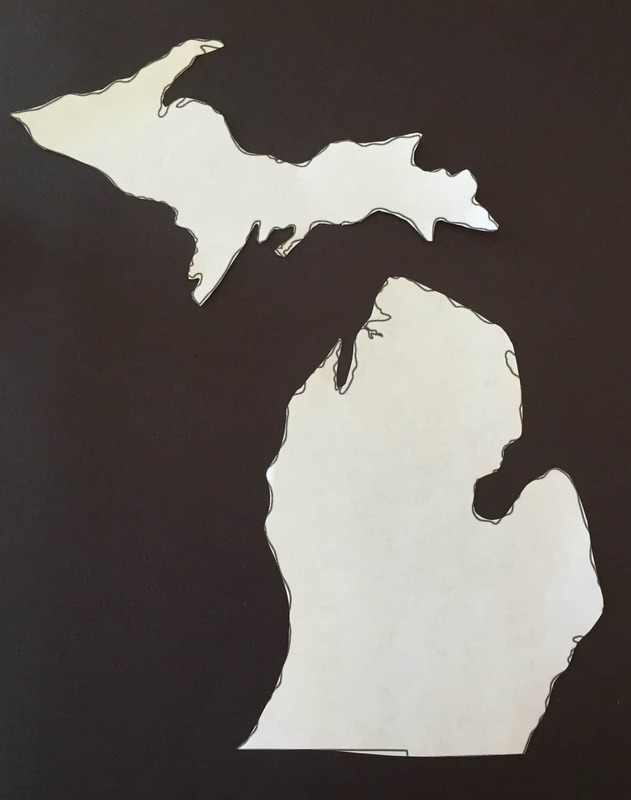 These two crafts I’m going to share with you are easy, fun, and of course, Michigan related! Michigan is well known for our cherries, especially since Traverse City hosts the National Cherry Festival each summer (remember our piece on that?). With this quick and easy craft your fridge will look like cherry blossom season all year ’round! 1. 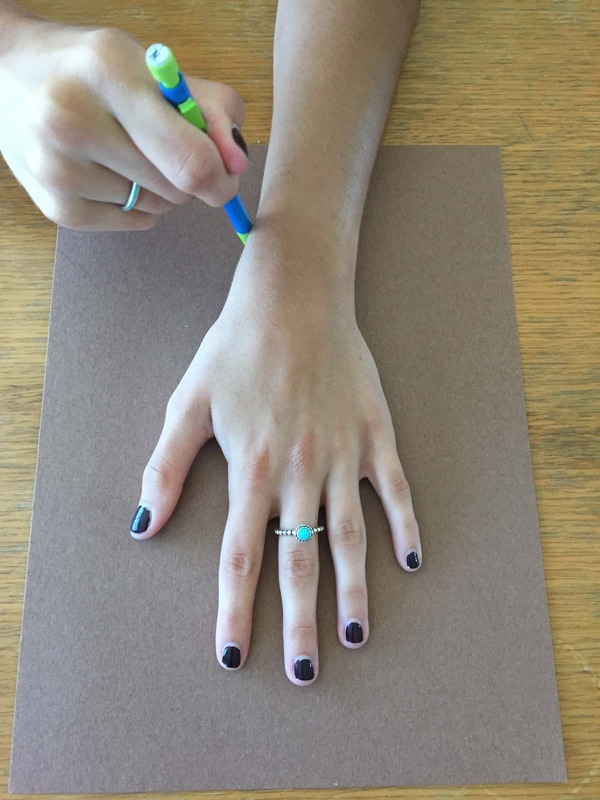 Using the pencil, trace you or your child’s hand on the brown construction paper. Carefully cut along the line you’ve drawn. Some young children may need help with scissors. 2. Glue down your new tree branch onto the background color you’ve chosen. I picked a light blue for the sky. 3. Now it’s time to make your blossoms. This part may be a bit tricky for small hands, so be sure to help. 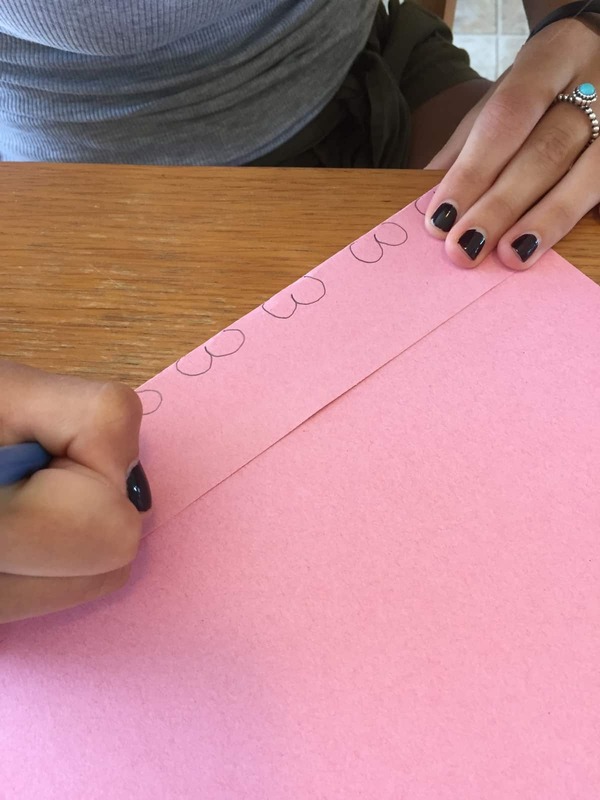 Fold one side of your pink construction paper over and draw the top part of a heart shape. Repeat this several times, creating as many blossoms as you wish. 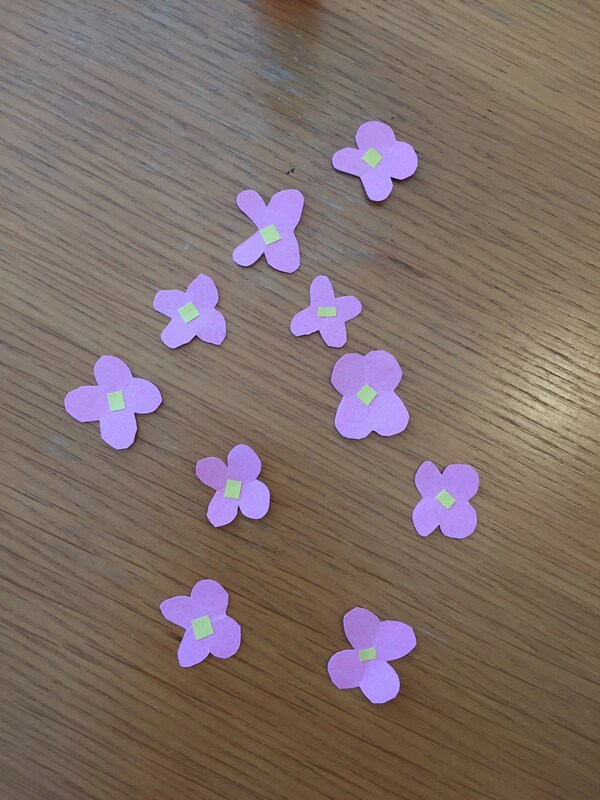 Cut out each blossom, making sure you are cutting through both layers of paper so that when they unfold they look like tiny flowers. 5. Arrange your blossoms in a manner that is most pleasing to you and glue them in place. I folded up the edges of each of my blossoms in order to give them a realistic 3D effect. 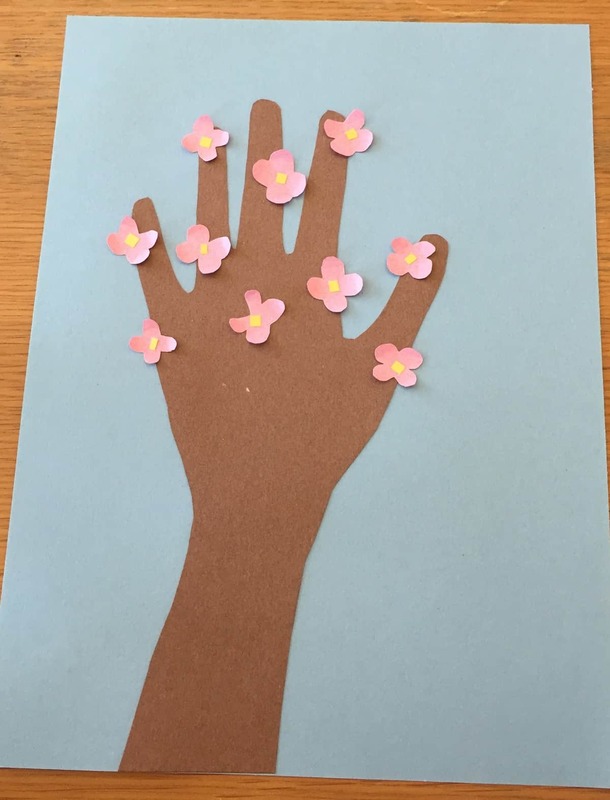 To do this, carefully roll up the edges of each petal and only use glue on the center portion of the blossom. And, VOILA! You have a beautiful cherry blossom tree. Think how cute it would be to create this with your children before heading off to the Cherry Festival? We all have extra magazines lying around from 2009. 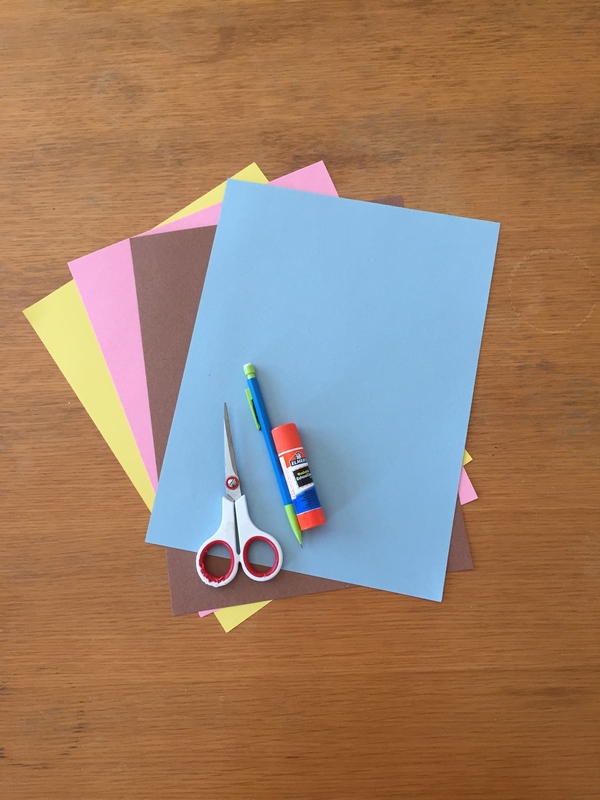 We might say that we need to save them for a craft project someday, or maybe you’re also one of those people who thinks you will actually get around to reading that at some point, so you haven’t thrown it out yet. Well, today is that day. 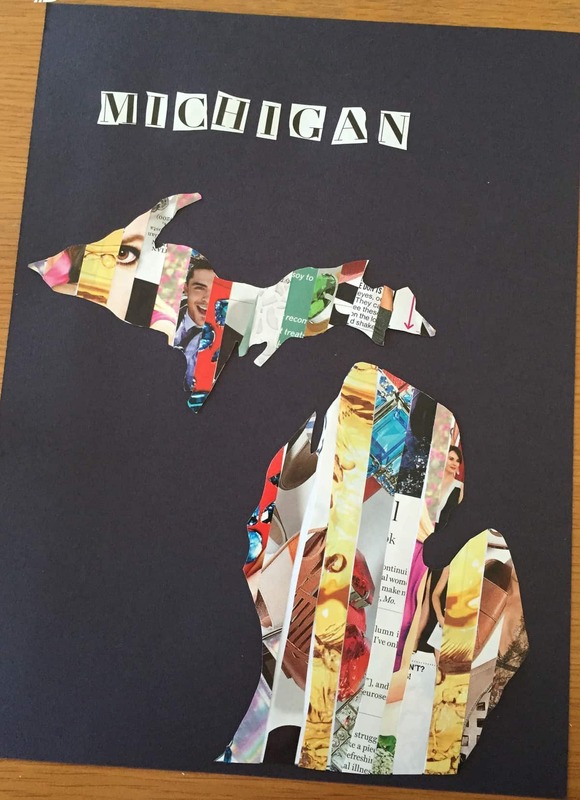 In this activity we will be creating a Michigan out of all those old magazines. I used a women’s magazine because I had it lying around my house, but this craft would be amazing if you could find an outdoors magazine that has pictures of camping or other Michigan summer activities. This activity would be better conducted with older children, since it requires a little bit more precision! 2. Now you’ll need to cut strips of magazine. Each strip should be about a half an inch or less wide. You want to make it almost impossible to know what is on the strip, we only want to see the colors and shapes. I recommend using a few different pages, that way there is a greater variety in the content of your strips. If you are doing this with children, be sure they don’t cut the strips too short, they have to cover the entire length of a peninsula. 3. Arrange the strips in the order you find most appealing. Try to separate similar strips or pieces from the same page. 4. 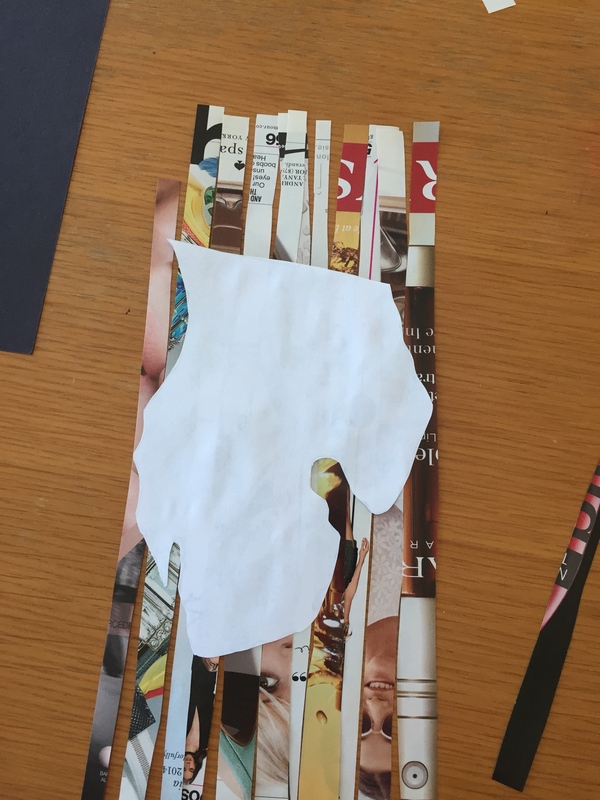 Glue each strip carefully onto the silhouette. Line up the edges of the strips of magazine as best as you can to cover any white space. 5. Trim off any excess magazine by cutting along the edge of your silhouette. In this process I found that I needed to pause to glue down the edges of the strips better before trimming. 6. Once all of your extra frills are trimmed off, all that’s left is to glue it all down! I used a black piece of construction paper as my background. Ta-da! All finished. Try creating this on different sized silhouettes, maybe even on a giant canvas? 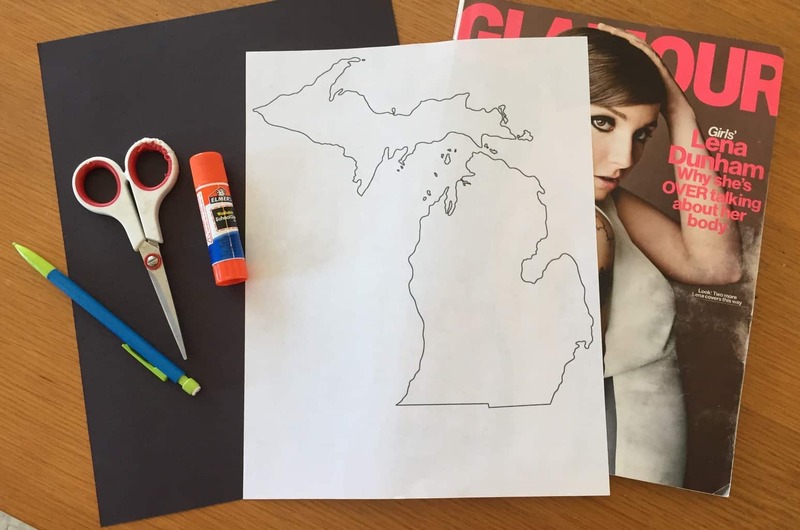 I added cut out letters spelling out Michigan, feel free to add your extra touch! What other Mitten crafts do you enjoy? Comment below and show us your finished projects! All photos by Alison Mosher. Tagged art, Children, crafts, fun, michigan.